It's been seven days up and seven days down at the AAU Junior Olympics here in Des Moines, Iowa. On Saturday, it's all about championships. There is no doubt the best races of the week will go down Saturday on the Drake University track as we look to close out another addition of the Junior Olympic Games. Check out some of the best moments from Day 7 of the Games. Tyrese Cooper looked like his old self on Friday in the 400m--and this came in the dead of heat, late in the day, when everyone else had left the stadium. The MGX star ran his fastest quarter of 2018, tying the 46.54 he ran in February at the Louie Bing Classic. Keep in mind, this is Cooper's last AAU Junior Olympics. While he's competing in three events (100m, 200m, 400m) over the course of Saturday, it would be a massive cap for Cooper if he could hit 45 for the first time of the year in his last race. Don't be surprised when he does. The 14-year-old girls of Detroit Pal Track Club (MI) had their sights set on one thing in the 4x100 heading into the AAU Junior Olympics: The team wanted to break 46 seconds. On Friday they got close, but their reward something something else. A new national record. Check out their race. Louisiana native Tzuriel Pedigo explains his national record attempt, and where his future lies after 2018. 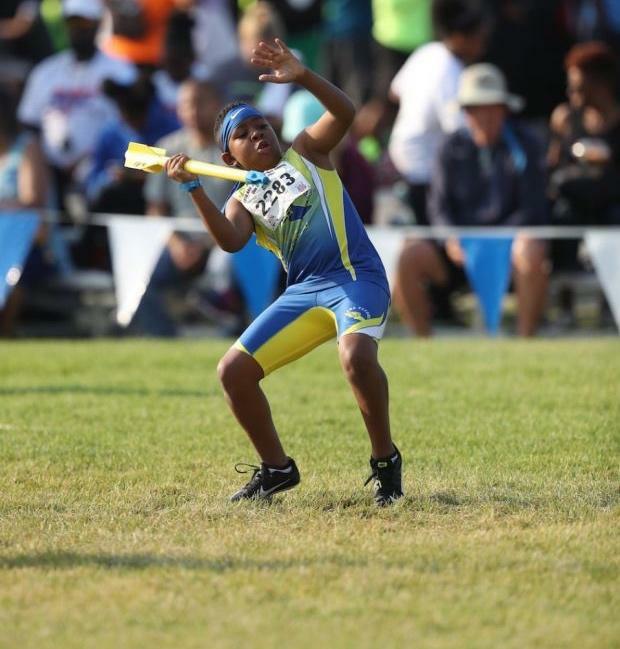 MGX's Cha'iel Johnson has turned into a bit of a star at the AAU Junior Olympics. Check out her interview after her supremely fast 400m.